Grandma sent you a package? 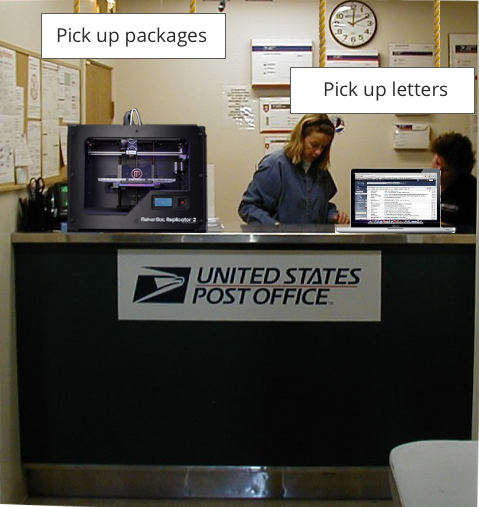 It's an .stl file ready to be spit out of the USPS' 3D printer. Have a letter to pick up? Log into your email on the community macbook.